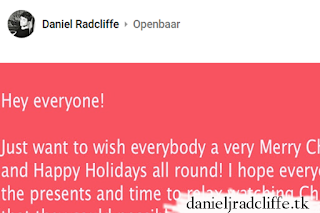 A new post appeared on Daniel's official Google+ page. 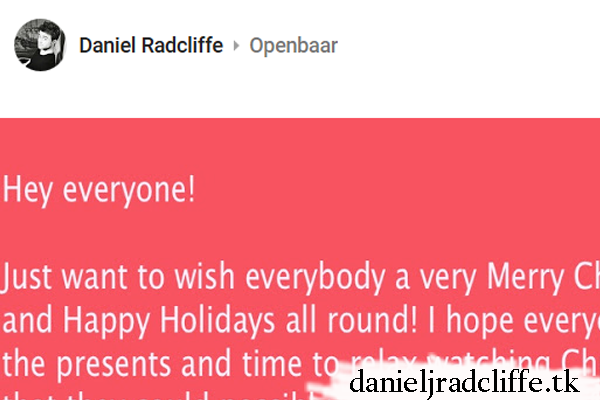 It's a message from Daniel wishing everyone a Merry Christmas and Happy Holidays. Thanks Daniel! Let's hope that he also will have a relaxing Christmas with everything that he could possible wish for :).